Everyone loves words beginning with z and this is a useful word to drop into conversations! Most flowers are either zygomorphic or actinomorphic, according to the symmetry of the flowers when viewed face on. A zygomorphic flower has one plane of symmetry ie. it can be divided into two identical parts when a line is drawn from the top to the bottom. 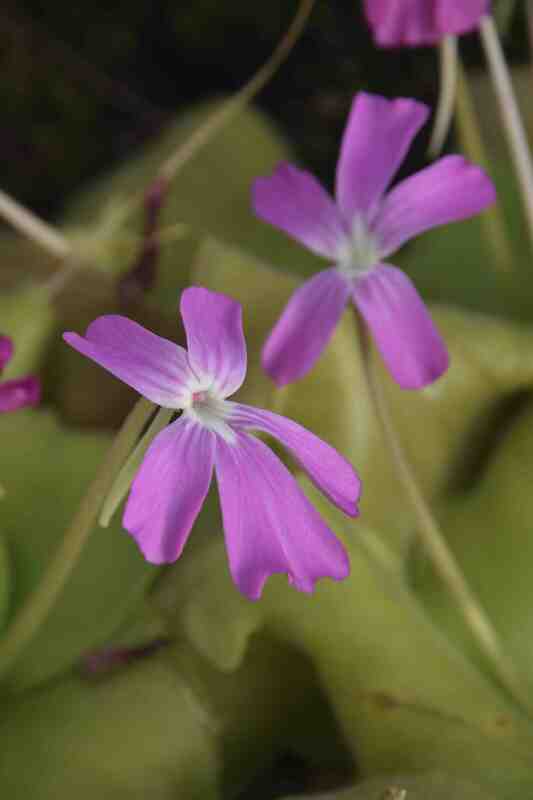 These are common in orchids and plants in the Lamiaceae that have a definite landing platform for pollinators and they are usually held so they face ‘outwards’ or vertically – just like the pinguicula above. 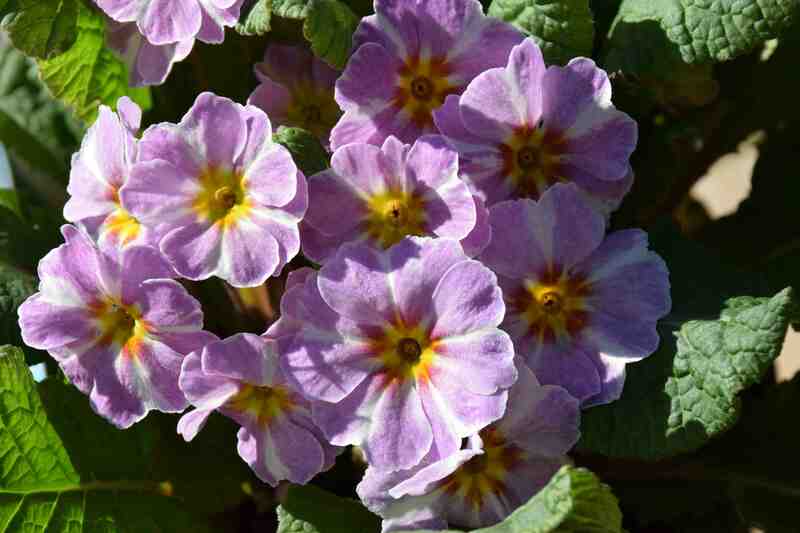 In contrast, actinomorphic flowers are often held horizontally and they have three or more planes of symmetry like the primula below. Avoid pitfalls such as the Asteraceae such as marigolds and sunflowers which, of course, are ‘heads of flowers’. Many monocotyledons such as crocus and tulips are actinomorphic and have three planes of symmetry although others, such as hippeastrum, hemerocallis, gladiolus and freesias are zygomorphic but these follow that rule that the flowers face more or less vertically.